What is neutral buoyancy? 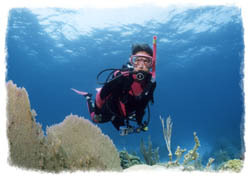 Scuba divers like to be neutrally buoyant so they neither sink nor float. It can be a tricky thing. Divers who’ve mastered the highest performance levels in buoyancy stand apart. You’ve seen them underwater. They glide effortlessly, use less air and ascend, descend or hover, almost as if by thought. They interact gently with aquatic life and affect their surroundings minimally. 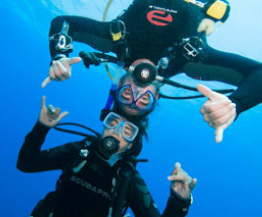 The PADI Peak Performance Buoyancy course refines the basic skills you learned as a PADI Open Water Diver and elevates them to the next level. Good buoyancy control, hovering effortlessly above aquatic wildlife motionless is a key skill for photographers. This makes the PADI Digital Underwater Photography Course a natural companion, because you learn more about good buoyancy control which will allow you to take those great shots without damaging the wildlife. Normally held at an inland dive site around Bristol. One day completing two dives. Please feel free to contact us for any further information on 07920 556116 or click on our contact page to send us an email and for details on how to book. Other PADI specialties you may be interested in! Learn how to use Enriched air up to 40% - Click on the photo to learn more! 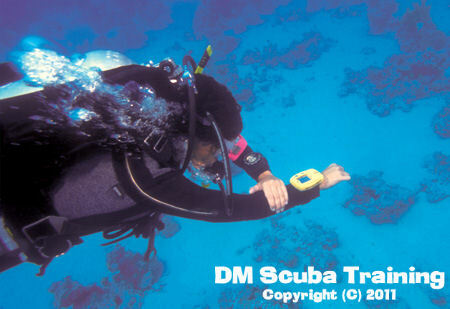 Learn how to dive wrecks safely - Click on the photo to learn more! Learn to Dive with a DPV! - Click on the photo to learn more! Learn how to navigate properly - Click on the photo to learn more!